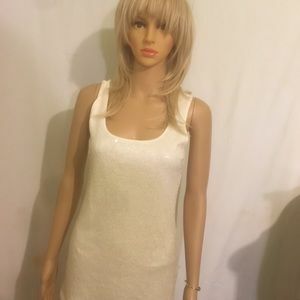 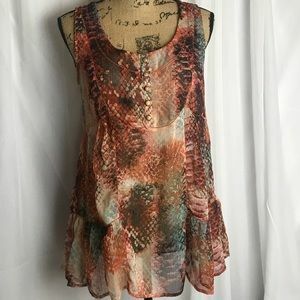 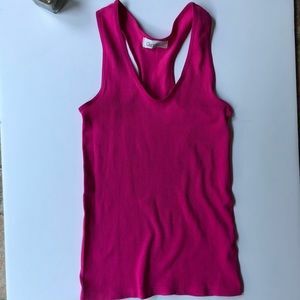 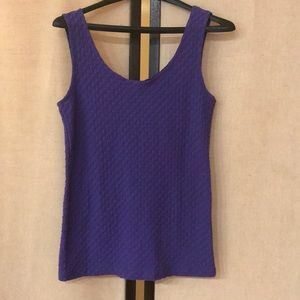 Christina Purple Tank Top New with Tags. 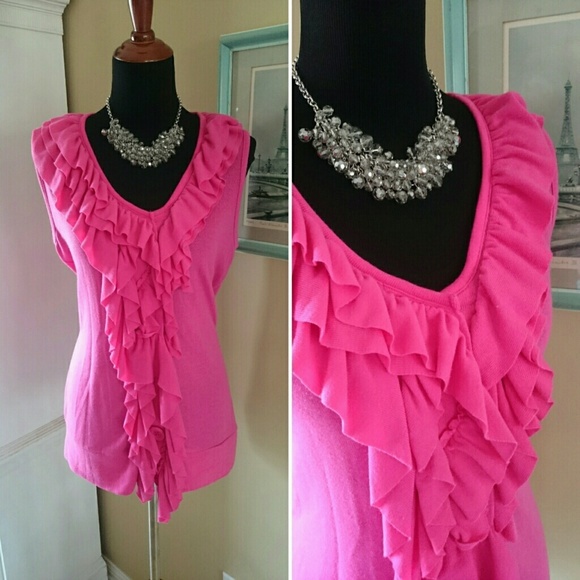 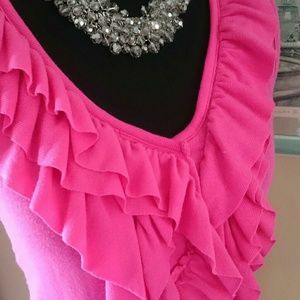 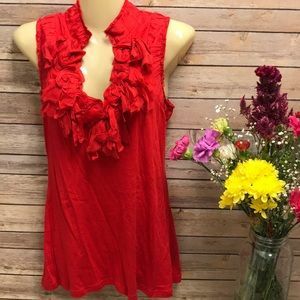 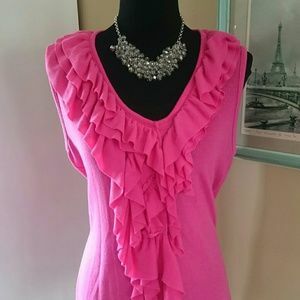 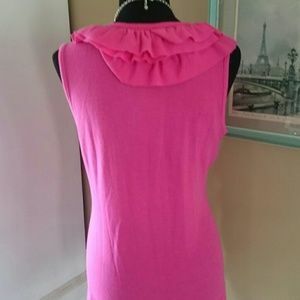 Cute hot pink ruffles around the neckline and down the front. 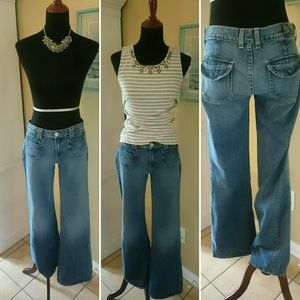 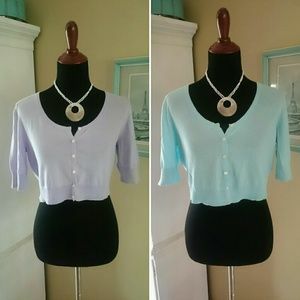 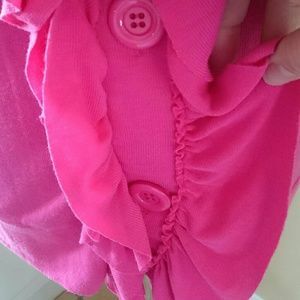 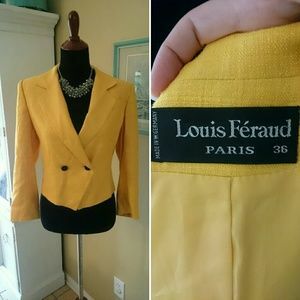 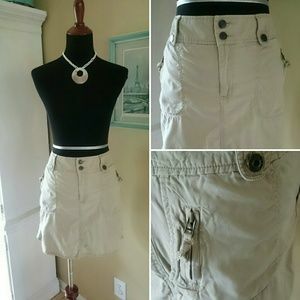 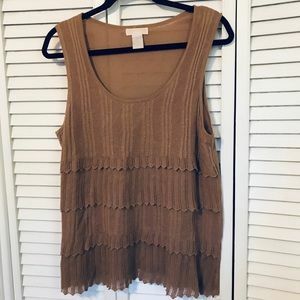 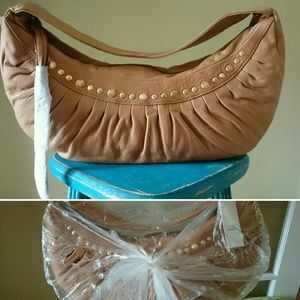 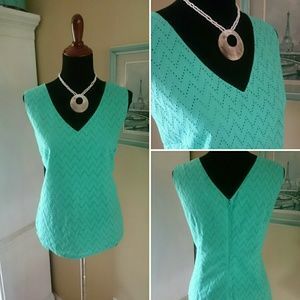 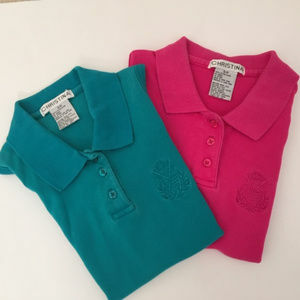 Hidden buttons under ruffles. 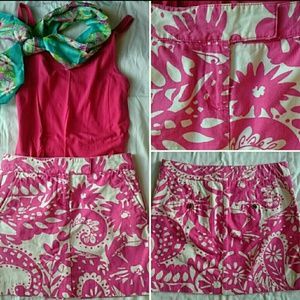 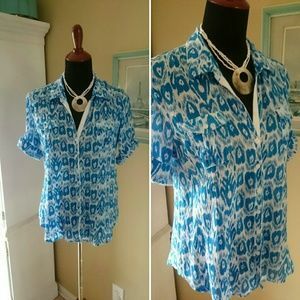 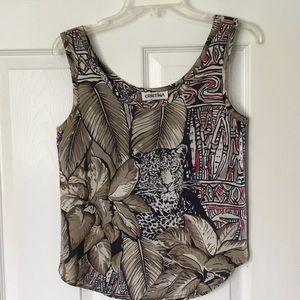 I wore this with some fun Lilly Pulitzer shorts and cute sandals 🌴🌸🌞62% polyester, 33% rayon and 5% spandex. 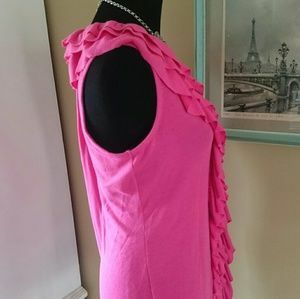 Laying flat from shoulder to hem is about 28" and across from armpit to armpit is about 20". 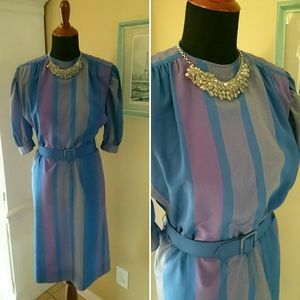 Light wear but still looks fabulous.